The Beeching closures and those of the 1970s and 1980s left a lot of gaps in Britain's railway network and a legacy of inadequate capacity. Which lines should Beeching and his successor have kept, and what lessons can we learn from the closures today? 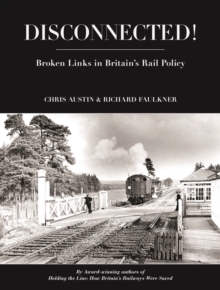 Award winning authors Chris Austin and Richard Faulkner reveal the real stories behind some of the most controversial closures and draw some important conclusions for today's transport planners and politicians. They also pay tribute to some of the whistleblowers of earlier years, without whose intervention, the railway would be much smaller than it is today. As well as the closure of key routes that would add value to the network today, the authors look at the loss of many city centre stations that have stretched capacity at the remaining stations and inhibited the growth of services. Meticulously researched, this book also draws on the professional experience of the authors and includes much material never published before. Following the success of Holding the Line, which quickly sold out, Disconnected! 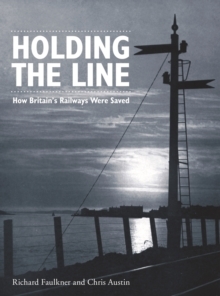 tells the story of the flawed policy behind the later closures, the successes of reopened lines and the need to safeguard routes for the future. It makes a strong case for an increase of around 10% in the size of the network to meet today's transport needs. Illustrated with a good selection of images never before published, this is a book for policy analysts, planners, social historians and economists, as well as anyone who is passionate about Britain's railways.